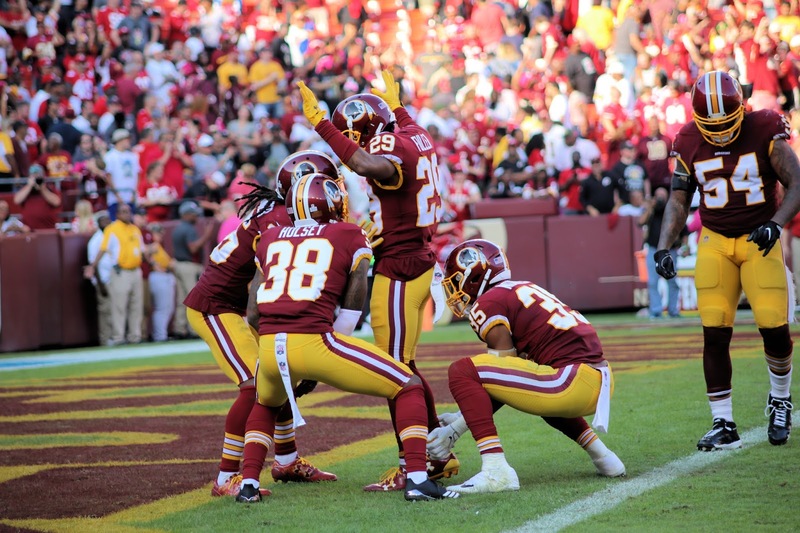 LANDOVER, Md.- After jumping out to a 17-0 lead the Washington Redskins needed a defensive stand and an interception on 4th down by Kyle Fuller to hold off a fierce charge by San Francisco. Quarterback Kirk Cousins turned in another solid performance completing 25 of 37 passes for 330 yards and 2 touchdowns for a rating of 102.3. Cousins also threw one pick. 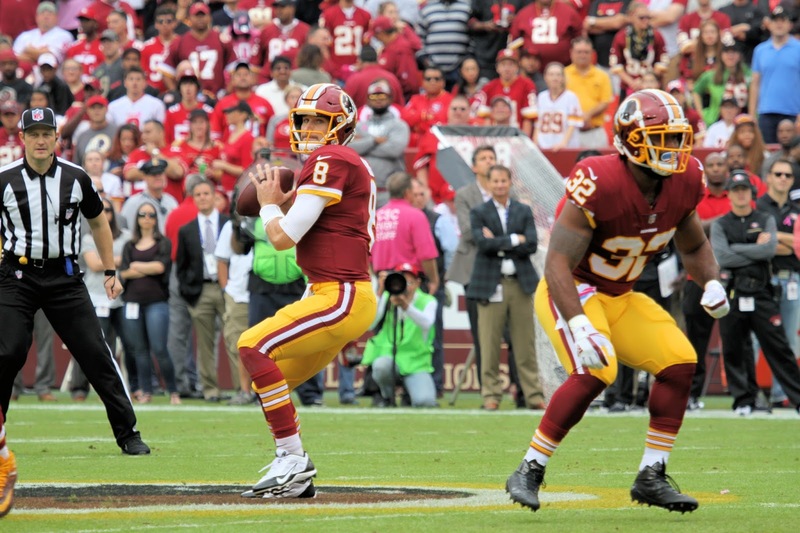 "I think we did a good job as an offense," Cousins said, "I think we moved the football. There were a lot of good decisisions, a lot of good plays made, a lot of third-down conversions in big moments, a lot of crucial drives where we had to churn the clock and come away with points." The 49er's made a quarterback change from Brian Hoyer to C.J. Beathard and started moving the ball against the Redskins. San Francisco (0-6) got their first score just before the half and came out scoring 10 in the third quarter to get back in the game. Washington (3-2) was held to 94 yards rushing, with Chris Thompson leading the way with 33 yards on 16 carries. Cousins added 26 on 4 carries including some crucial first down runs. Thompson led all recievers with 105 yards on 4 receptions. Josh Doctson and Samage Perine each found the endzone once at the end of a Cousins touchdown pass. 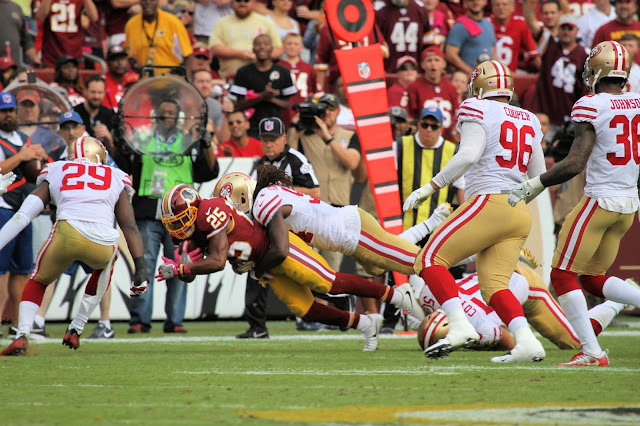 The Redskins defense held the Niners to 85 yards rushing, and the two quarterbacks combined for 279 yards passing.